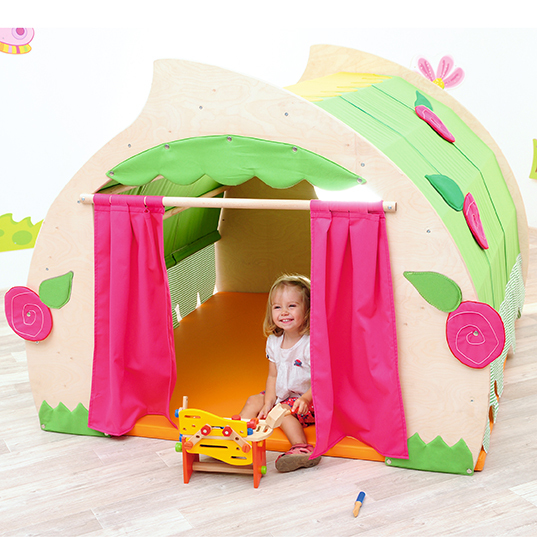 A great hiding place and safe play area (orange mattress supplied) for young children. 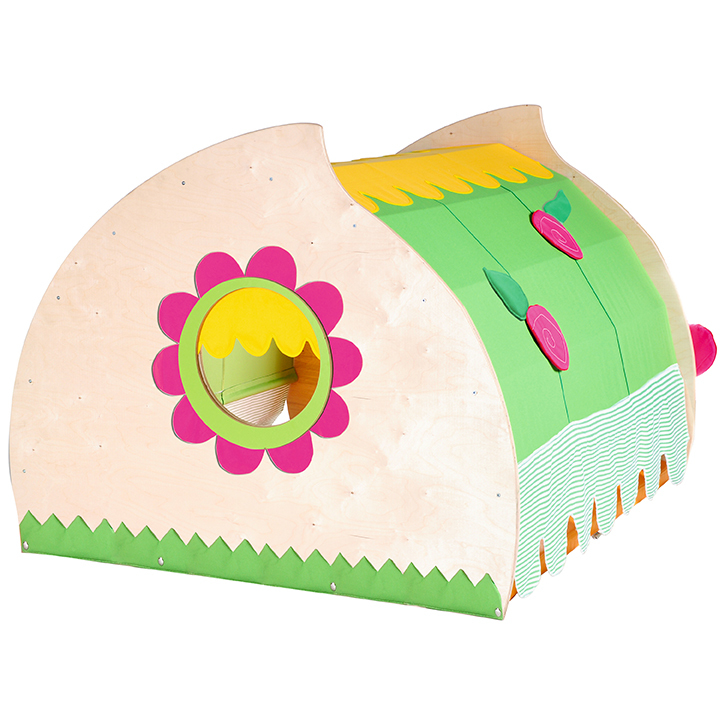 Children can pretend they are playing in the garden house on a lovely summer’s day. Decorated with wood and fabric flowers. 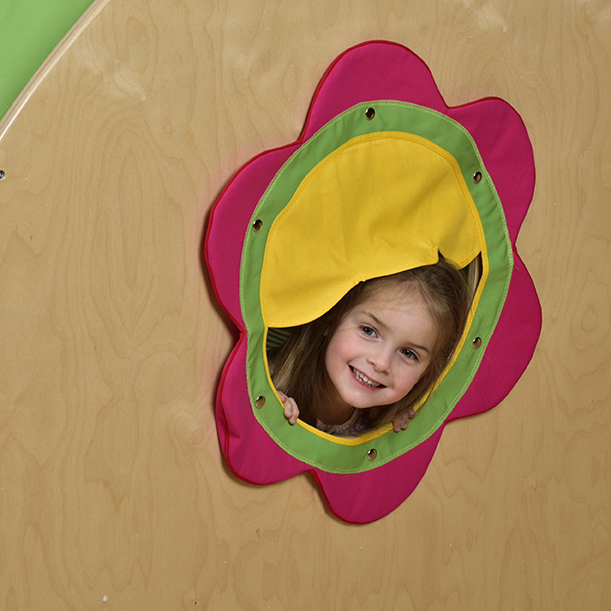 Manufactured from top quality plywood with cotton fabric. Supplied flat packed for simple assembly.